Bird Uganda Safaris: www.birduganda.com Locally run safari operator based in Kampala. Focused on birding, but also offer gorilla tracking and standard safaris. Classic Africa Safaris: www.classicuganda.com Based in Entebbe, these guys come highly recommended as one of the best top end safari companies in Uganda. Gorilla Tours: www.gorillatours.com Serving all budgets and all Ugandan national parks, Gorilla Tours unsurprisingly specialise in arranging gorilla safaris. Great Lakes Safaris: www.safari-uganda.com Alongside safaris at a broad range of price points, Great Lakes Safaris also offer cultural tours. Kampala. Magic Safaris: www.magic-safaris.com Very good value high end safaris, with a choice of private or scheduled safari trips. Kampala. Matoke Tours: www.travel-uganda.net Focussing on the mid-range safari market, Matoke Tours serve all budgets enthusistically. Have a recommendation for a good safari tour operator in Uganda? Let us know. 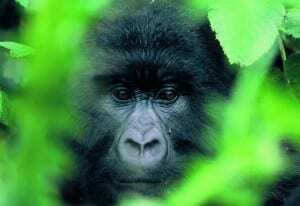 View safari companies in other Africa countries or read reviews of Uganda national parks.